Are you in need of an established and experienced commercial locksmith? Are you looking for the industry leader in commercial locks in your community? You’ve found it! The value of protecting your business with high security locks cannot be understated. At 858 Locksmith, keeping your business safe and secure is our specialty. No one can afford to have their business broken into. Let us help you to make sure that never happens. We provide service in the San Diego, CA and surrounding areas. We are a complete locksmith service. This means that no job will ever be too large for us to finish. Our fast and friendly service is second to none in customer satisfaction. 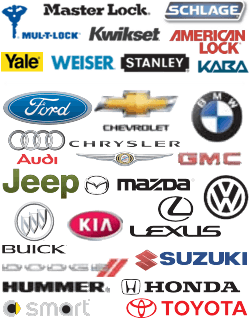 You will always be given up front pricing by one of our expert technicians. A quick 30 min response time guarantees that our mobile locksmiths have your back in an emergency. You have to have a company you can trust. We are a licensed bonded and insured company. Our honest and knowledgeable staff members are standing by when you need their help. We understand that in the business world, business hours are never truly over. That’s why we are a 24/7 locksmith service. You have to take precautions to guard against break-ins. The reality is, in the San Diego CA and surrounding areas you need to be protected. Our Grade 1 high security locks are the strongest, most durable locks that money can buy. These heavy duty locks are tougher than nails, and harder than stones. Giving your business the highest level of security possible is our specialty. These replacement locks can be installed and repaired in government buildings, supermarkets, schools, malls, offices, banks, and other types of businesses. 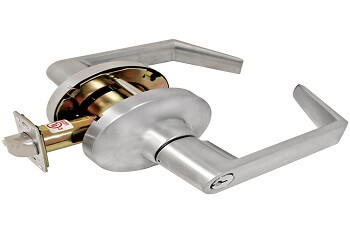 Any place with a high traffic area will benefit greatly by having these locks installed. You will appreciate that extra piece of mind knowing that your locks are left in experienced hands. Your business has its area of expertise. Preventing crooks from stealing or vandalizing your property is ours. This is a responsibility we do not take lightly. Criminals are an adept bunch. Our high security locks have the latest anti-picking technology. Extra long bolts mean that a would be thief will have a terrible time attempting to take it apart. We reinforce our lock plates with extra long screws. These features combine to give your business a preventative deterrent. It will cause burglars to turn away empty-handed. Let’s face it. The unexpected is bound to happen. We are available to install and repair your high security locks when you need us to. Our reputation is built on being there for our customers at any time of the day. With a guaranteed 30 min response time on all work orders, you will never have to wait long for us to arrive. You have a business to run and need to return quickly to normal operations. Why should you choose our business? There are many other locksmiths out there. None will develop a business relationship with you like we will. Long term partnerships have been formed with companies just like yours. We value our reputation as a complete locksmith service in the community. All of our services are created with the customer in mind. We take pride in the professionalism of our staff members and expert technicians. Our goal is to cut the number of thefts in your area. Every new high security lock we install prevents another potential burglary. Go with an established company with 5+ years experience in the field. Whether you need one lock replaced or an entire building, you can count on us. Attention to detail and the best customer service is another thing that sets us apart from the competition. Contact us now for up front pricing on your new high security locks. Grade 1 Locks https://858locksmith.com/grade-1-locks/ 3.7/5 based upon 24 reviews.